This topic contains 0 replies, has 1 voice, and was last updated by mbonus_wm 3 years ago. 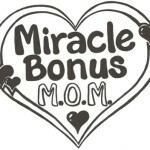 – Miracle Bonus is not liable for any altercations/transactions that take place as a result of interactions on this website. – Occasionally, a situation may arise that is not foreseeable. In this case, Miracle Bonus reserves the right to update/revise/clarify these rules at anytime. This topic was modified 3 years ago by Katie Lambson.